Asis Boats, a leader in advanced maritime solutions for leisure, commercial and military customers, received the Gulf Capital Business of the Year Award at the event last night (October 31) in Dubai, UAE. The company’s founder Roy Nouhra was named Entrepreneur of the Year at the glittering ceremony at the Westin Mina Seyahi Beach Resort & Marina. 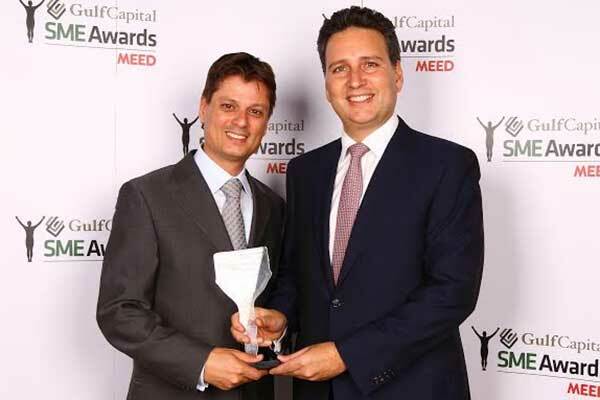 “We congratulate all the winners of this year’s edition of the Gulf Capital SME Awards. Their success stories are an inspiration for many entrepreneurs and small businesses to follow. They are among the reasons why the UAE has achieved such a strong diversification and growth and why the SME sector has become the main engine of growth for the UAE economy,” said Dr Karim El-Solh, chief executive officer, Gulf Capital, one of the leading alternative investment firms in the Middle East and headline sponsor of the annual Gulf Capital SME Awards. Among those honoured include Early Years Educational Services, an educational training and consultancy firm, which received the MasterCard Small Business of the Year. The company, the first to bring UK qualifications to those working in the early years education sector, was recognised for its work in successfully training professionals to deliver the best educational outcomes for young children. For turning the conventional healthcare model upside down, Eternity Medicine was recognised with the Business Innovation of the Year award on the strength of its pioneering practice in providing personalised health reports using advanced screening technologies and cutting-edge treatments. The Camel Soap Factory, winner of the Start-up Business of the Year award last year, is back on the honour roll this year, winning the Sustainable Business of the Year award for its work in educating customers on the benefits of environmentally-friendly soap manufacturing. Bin Touq Fire and Safety, a provider of turnkey solutions in fire protection and alarm systems, won the Emirati Business of the Year award, while Souqalmal.com was honoured with the Online Business of the Year award. The RSA Customer Focus of the Year award was given to SMART Fitness, an SME that specialises in providing personal, group and athletic training, as well as bespoke solutions for corporate wellness. British Orchard Nursery, a top provider of early years education in the UAE, received the DHL People & Culture of the Year Award. For successfully leading Adventure HQ to become the UAE’s leading outdoor adventure sports superstore, Sam Whittam received the Business Leader of the Year award.